ITS PUMPKIN SEASON WHITE GIRLS! Its that time of the year everyone. Pumpkin everything! 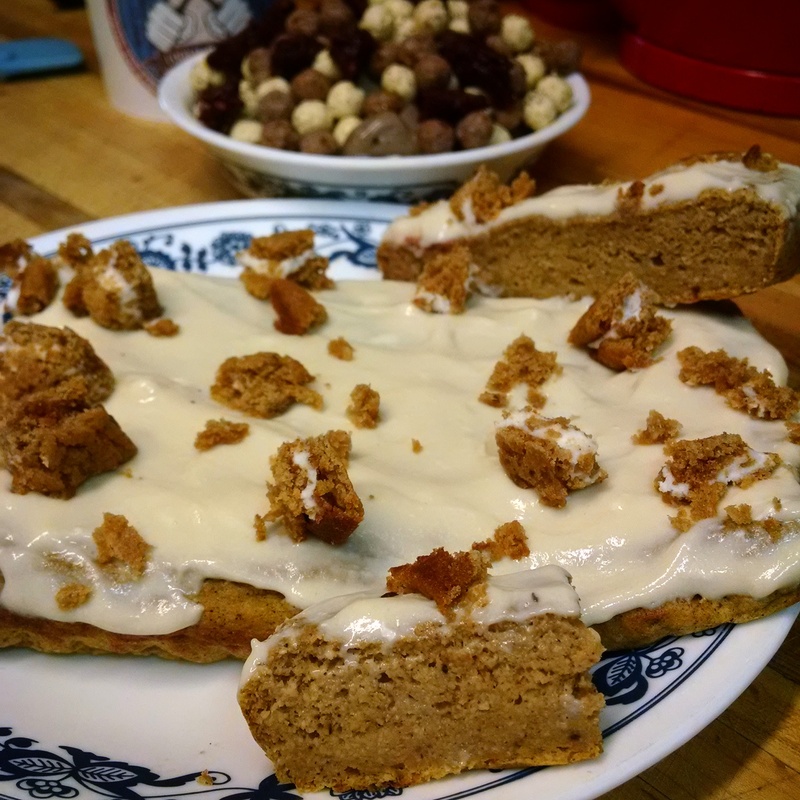 I decided I would quick whip up some pumpkin cake bars. Wanted to be a bread loaf but it came out super dense and delicious just didn’t get a good rise haha. Splash of milk …… I would say roughly 1-2 oz. In a bowl mix all ingredients. Sweeten and spice as you see fit. I really like cinnamon so I go heavy on that. Grab a Bread pan and throw parchment paper in it then spray it down. Pour batter in and evenly spread out . Should not take longer than 15 or so minutes. Well that is baking , throw your ingredients for the frosting in a bowl and mix. Once mixed throw in fridge till bread has cooled. Once cooled take out and top on bread. I hope you guys enjoy this! Be sure to let me know and if you make it I wanna see! Find me on IG at d_chron or #dustyscalculatedmadness !